City officials are still waiting to learn whether the brand new $1.1 million ladder truck is a total loss and how much of it will be covered by insurance. SOUTH PORTLAND — Firefighters weren’t paying attention and hadn’t been properly trained when a brand new $1.1 million fire truck was seriously damaged and put out of service during a training exercise in October, according to a report released Friday. Fire Chief James Wilson has been directed to immediately establish new standard operating guidelines that also were found lacking after the truck’s 107-foot aerial ladder hit an overhead power line, sending an electrical current that destroyed the truck’s complex wiring systems and sparked a fire on the right front tire. Under the new guidelines, during any truck training sessions or equipment evaluations, firefighters will be expected to designate a spotter and conduct an “environmental assessment” to note any obstructions in the area that might injure people or damage equipment, City Manager Scott Morelli said. Morelli said it has yet to be determined whether the ladder truck is a total loss, how much of the damage will be covered by the city’s insurance policy and whether disciplinary action might be taken against the firefighters who were involved in the incident. “We appreciate the public’s continued patience while these outside entities work to ascertain the damage incurred by the vehicle and what the city’s insurer will cover,” Morelli said. The investigation was conducted by Louis Cavallaro, the city’s safety coordinator, and Stephanie Weaver, the city’s human resources director. Morelli issued Cavallaro’s report with the names of city employees redacted. By law, names of city employees who may be sanctioned or disciplined are not public until a final written decision regarding discipline has been rendered. 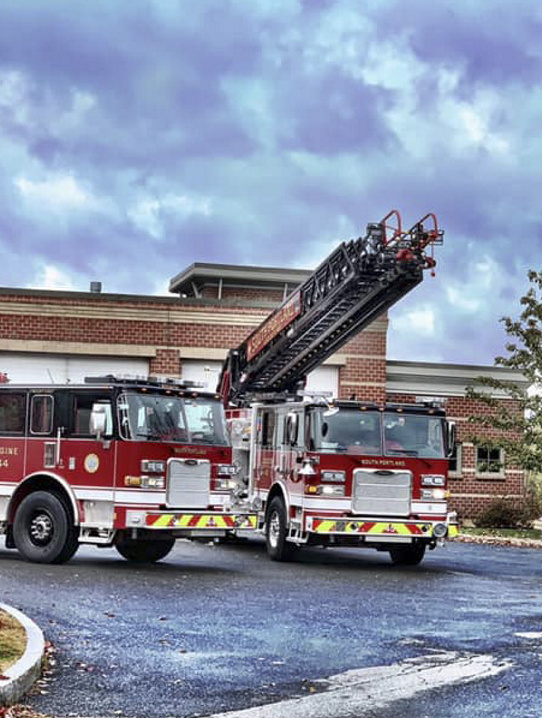 According to the report, the city received the Pierce-brand ladder truck on Oct. 4 and held several training sessions on Oct. 15-18 and 23-26. It was put into service on Oct. 28 as Ladder 45 at the Cash Corner Fire Station on Route 1, near the Broadway intersection. The incident happened two days later, shortly after 10:30 a.m., during an in-service training session behind the fire station. Firefighters were extending the ladder outward and down when a computer display screen suddenly went blank and flashed a warning message that communication had been lost to the ladder controls. Firefighters looked toward Skillings Street and noticed the ladder had made direct contact with the highest primary wire, which carries electricity for Center Maine Power Co., the report said. “We’re in the wires!” shouted one firefighter, who also heard crackling throughout the truck and noticed black smoke billowing from the right front tire. The firefighters fled the truck within seconds to avoid being electrocuted. Cavallaro concluded that the incident was caused by “a lack of appropriate situational awareness by certain personnel” and “a training deficit of not highlighting the need for a spotter” while operating the ladder for nonemergency uses. 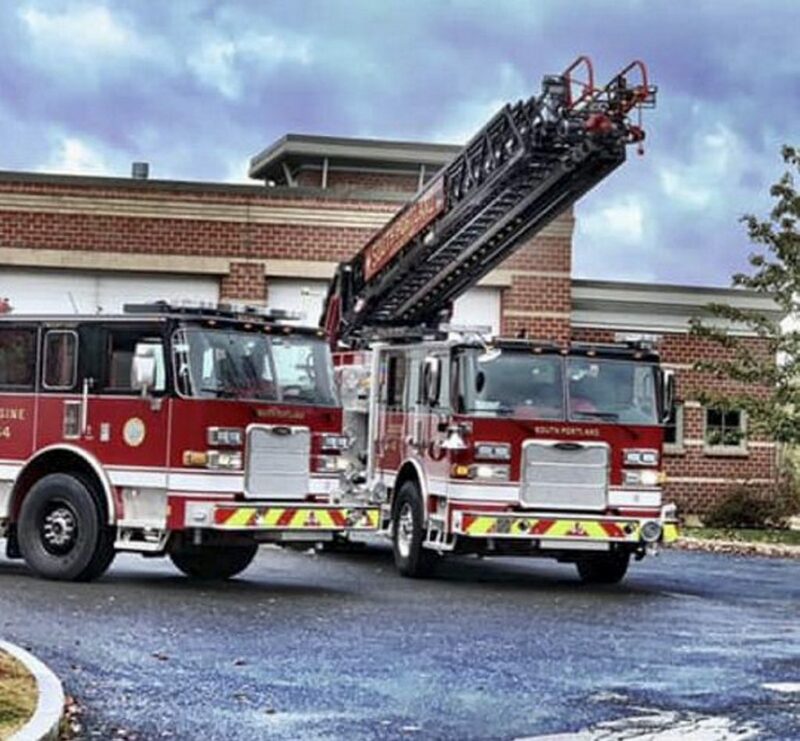 The truck has been out of service since the incident, so the fire department continues to use its 1996 Pierce ladder truck for emergency calls requiring aerial equipment, Morelli said. Representatives of the city’s insurer, Maine Municipal Association Risk Management Services, are expected to inspect the truck next week to determine the extent of damage and how much will be covered. Morelli said the truck’s policy provides as much as $1,064,000 in replacement coverage with $1,000 deductible, so there will be enough money to repair or replace the vehicle if it’s declared a total loss.